Dr. Eric Darr is an administrator and professor whose career has bridged the corporate world and academia. He is president of Harrisburg University of Science and Technology. Additionally, Dr. Darr serves on the leadership team for the Pennsylvania STEM Center Initiative, which will design, develop, implement and evaluate a set of strategies for Pennsylvania’s STEM (science, technology, engineering, and mathematics) Agenda through 2018. An initiative of the National Governors Association and the Team Pennsylvania Foundation, the STEM Center Initiative develops and deploys statewide strategies and resources designed to enhance the Commonwealth’s education and workforce development efforts targeted at the development of a globally competitive STEM workforce. Dr. Darr earned both a bachelor of science degree in mechanical engineering and a master of science degree in Industrial Psychology from Rensselaer Polytechnic Institute. He also earned an MBA and a doctor of philosophy degree in Organizational Behavior and Theory from Carnegie Mellon University where he studied under Nobel Prize Winner and noted organizational theorist Herbert Simon. While at the Anderson Graduate School of Management at the University of California at Los Angeles, he conducted research and consulted in over twenty multinational corporations including Arthur Andersen, Gemini Consulting, TRW Space and Electronics, Hughes Aerospace, Bank of America, Xerox, British Airways and Qantas Airlines. Dr. Darr developed and taught Doctoral and MBA courses in organizational learning, organizational change, organization design, process reengineering, business strategy and technology management. Further, he developed and taught executive education courses in measuring intellectual capital, corporate renewal, managing information technology resources, improving product development and creating organizational memory. He has published numerous articles and book chapters on organizational learning, learning technologies and competitive advantage. He has been an invited speaker at universities in the United States, Austria, Great Britain, France, Australia and the Netherlands. His research has been supported by the National Science Foundation and the Center for International Business Education and Research at UCLA. 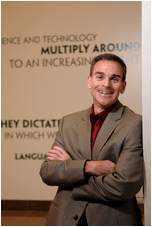 Prior to joining Harrisburg University, Dr. Darr was Chief Operating Officer from 2000 until 2004 at KnowledgePlanet, Inc., a software company located in Harrisburg, Pennsylvania. From 1997 to 2000, Dr. Darr led Ernst & Young’s Knowledge Management Consulting Services.